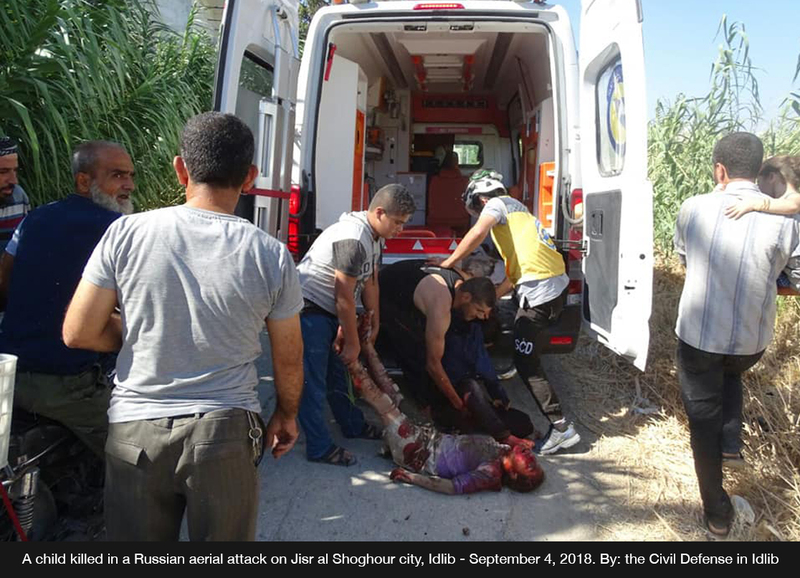 SNHR said today that no less than 192 civilians were killed in September by the parties to the conflict in Syria, including 95 at the hands of Syrian-Russian alliance forces. According to the report, September recorded an unprecedented drop in civilian death toll numbers as rates of military operations by the parties to the conflict have diminished throughout Syria. On the other hand, new names of dead forcibly-disappeared persons, who were detained by Syrian regime forces, came into light for the fourth month in a row in September as they were listed as dead at civil registration offices. These discoveries were made either when their families went to those offices to finish paperwork or through lists publicized by civil registration offices which contained the names of forcibly-disappeared persons who died due to torture without specifying the place and cause of death. The report adds that Russian-Syrian alliance forces topped all parties in September by killing 50% of the overall civilian death toll. September was also the sixth month in a row which saw a rise in numbers of civilians killed in various bombings and assassinations. The report records that 6,228 civilians have been killed since the start of 2018, including 4,514 killed by Russian-Syrian alliance forces. In September, the report adds, 192 civilians were killed. Of those, 78 civilians were killed by Syrian regime forces, including 13 children, three women, and 41 victims who died due to torture. On the other hand, forces believed to be Russian killed 17 civilians, including six children and five women. The report adds that 18 civilians were killed by extremist Islamic groups, including five children and one woman, where ISIS was responsible for the killing of 17 civilians, including five children and one woman, while Hay’at Tahrir al Sham killed one civilian. In addition, the report says that Kurdish Self-Management forces killed 20 civilians, including three children and one woman. The repot also documents the killing of three civilians, two of whom are children, in air attacks by international coalition forces warplanes in September, while 56 civilians were killed by other parties, including 18 children and four women. The report stresses that Syrian-Russian alliance forces have violated the rules of the international human rights law which guarantee the right to life. 90% of the wide and individual attacks, the report adds, were directed against civilians and civilian objects, which discredits the Syrian government’s and the Russian regime’s claims that they are fighting “Al Qaeda and terrorists”.